A voluntary committee is necessary to run any amateur organisation. 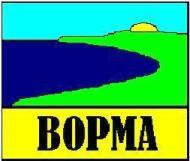 BoPMA is no exception. The President, Vice President, Secretary and Treasurer are confirmed in November for the following year. The remainder of the Committee are usually representatives from each of the secondary schools in the wider Bay of Plenty. Committee members are not elected by the wider membership, they simply pitch up to meetings. Each is a teacher of Mathematics. There is no limit to the number of teachers who may attend any of the Committee meetings throughout the year, in fact the meetings provide an excellent opportunity to network with teachers in other schools, and to keep abreast of the latest developments with NZQA and the Ministry of Education. There is a small element of professional development, therefore, at each meeting. Meetings are usually held in March, June, and September. The Committee makes maths alive in the Bay. e.g., the annual MathsMind and the Mini Conference. It is a lot of fun and stimulating to be part of the group. Committee members come and go. Some turn up to every meeting, just like an infinite series. We need fresh blood every year to keep this worthwhile organisation alive.